The state of Colorado has just released a bold new electric vehicle plan that builds on the state’s work to date and shows the way to an electrified future. The plan lays out aggressive goals around EV adoption and charging station deployment, and articulates strategies to meet each goal. Perhaps the most important goal in the plan is to go from about 13,000 EVs in Colorado at the end of 2017 to 940,000 by 2030. Getting nearly one million EVs (about 17 percent of all cars) on the road in Colorado by 2030 is an aggressive, but obtainable, goal and we applaud the Governor and his administration for aiming high. 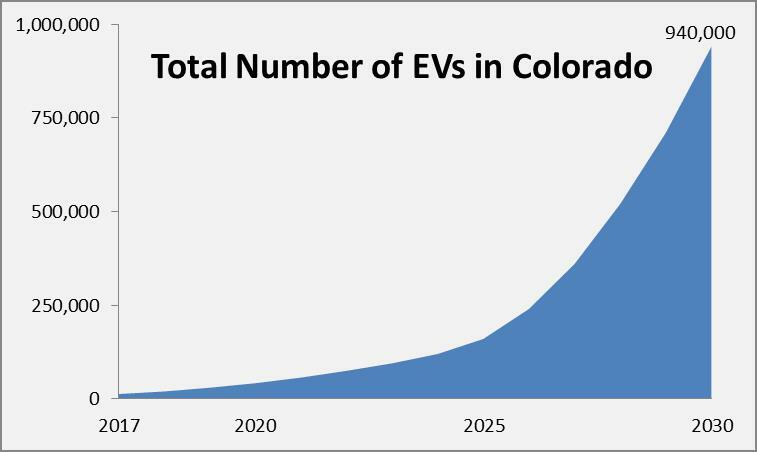 While ambitious, this is the level of EV adoption that Colorado will need to meet its greenhouse gas reduction goals. Moreover, the plan will save Colorado consumers over half a billion dollars per year in fuel costs. In addition, this level of EV adoption will exert downward pressure on electric rates, and is expected to save utility customers $50 million per year. The plan doesn’t just propose the 940,000 EV goal; it goes on to lay out many of the steps needed to become one of the top EV states in the nation. 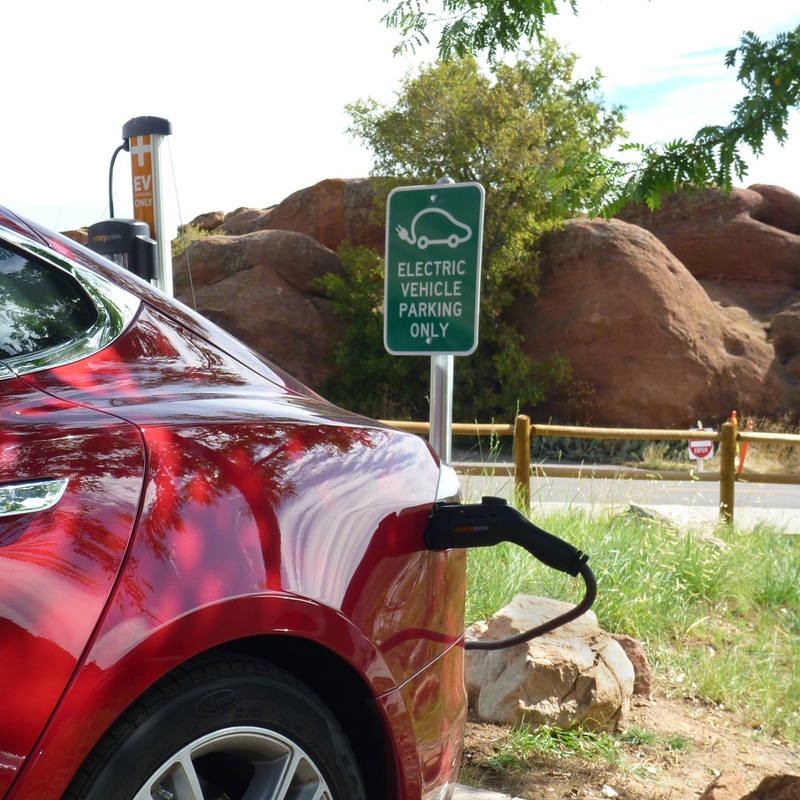 As Colorado already has one of the nation’s best EV purchase incentives (a $5,000 tax credit) in place, the plan emphasizes ways to get more charging stations installed across the state. In particular, the Colorado program focuses on fast-charging systems that can refill an EV’s battery in less than an hour. Develop partnerships with electric utilities to support deployment and greater utilization of fast chargers. The plan also lays out strategies to expand community-based Level 2 and fast-charging stations, by increasing funding for the installation of charging stations and expanding public- and private-sector investments and partnerships. Encouraging more local governments to adopt EV-Ready building codes. Importantly, this plan also recognizes areas where further efforts will be needed to achieve the state’s goals. One example is the recognition that even with the influx of money from the VW settlement, there still will not be enough funding available to build enough charging stations to support the nearly one million EVs expected by 2030. As the plan grows and develops in future years, this challenge will be a key area for further state action. Besides the strategies and actions identified in the plan, we recommend several additional actions that will help achieve the plan’s goals. The plan correctly calls for greater utility involvement via education, rates, and providing make-ready infrastructure for charging stations, but we believe it will be necessary for electric utilities to be much more involved in getting stations of all types into the ground. Current Colorado law actually prohibits investor-owned utilities from recovering investments they might make in charging stations through the rates they have for all customers. Across the country, utilities with the ability to recover costs have stepped up to propose significant investments in charging stations. The legislature should give investor-owned utilities in Colorado the ability to recover their costs and make more significant investments. Further, the Public Utilities Commission should ask the state’s utilities to submit plans to support widespread transportation electrification. The state also could consider adopting Advanced Clean Car Standards, which include a Zero Emission Vehicle requirement, to further encourage EV adoption in Colorado. To date, nine other states have adopted this regulation, which sets a minimum EV sales target for vehicle manufacturers to meet. By 2025, the standards could result in more than 30,000 EVs per year being sold in Colorado, about 10 percent of vehicle sales in the state. One way or another, the state will need to reach and then exceed that level of EV sales growth to meet the goal of 940,000 EVs on the road by 2030. True, 2017 was a solid year for the EV market in Colorado, with sales growing twice as fast as the national average. While Colorado is already one of the top states in the country for EV adoption, this plan shows that the state has no intention of taking its foot off the electricity anytime soon.